Renting a dumpster and storage container at the same time is something we see quite a bit in our industry. Being in the home services industry we have been very fortunate to partner and work with a lot of exceptional companies. One of these businesses we will explore today does a remarkable job in the portable storage container rental space. Planes Moving & Storage offers SAM (Store and Move) containers for those looking for portable self-storage or for a DIY move. Perhaps you’re remodeling and don’t want your valuable contents getting dusty and damaged or you’re moving and need a temporary space to store some household goods. These are just some of the many uses for the SAM containers. 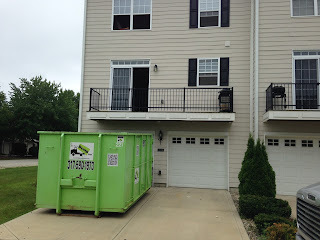 A lot of times our Bin There Dump That Indianapolis customers will rent a dumpster and a SAM simultaneously as they complete their home renovation projects. when moving, remodeling or downsizing. Measuring 16’ in length and 8’ high the SAM units offer approximately 900 cubic feet of space. They are water proof and weather resistant with translucent roofs to provide a great source of natural light while loading. With the cost starting at $150 these units are very affordable! Planes Moving & Storage offers the SAM units to customers through out the Indianapolis area. They have been successfully serving customers for over 100 years and are an A+ rated member of the Better Business Bureau. Want to learn more about renting a SAM unit? We invite you to check out their website at www.getasam.com or call their toll free number at 800-Get-aSAM. Currently the SAM containers are available in many major metro areas through out the United States! County to safely dispose of their hazardous items! Hendricks County Fairgrounds residents can dispose of their toxic items like paint, batteries, automotive fluids, pool chemicals and pesticides. must show proof of residency to dispose of items. Residents of other counties in the Indianapolis area are invited to check out their counties website for their designated Tox Drop days. may be a small fee to dispose of them. permitted in any of our dumpsters. be put in one of our dumpsters we ask that you call the office at 317-590-1973. How many days is my Dumpster Rental? What is the typical service period for a dumpster rental is a question we are often asked. 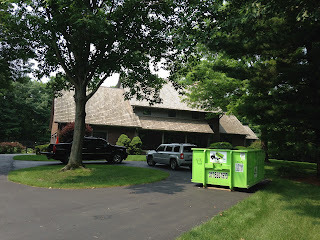 For residential customers through out the greater Indianapolis area the dumpster rental service period is up to 7 days. for those with quick projects! So if we deliver a dumpster to you on a Monday we would schedule pick up the following Monday. If you’re a fast worker and get the bin full before the 7 days are up that’s not a problem. Just give us a call and we will be more than happy to come earlier and pick up the full dumpster! 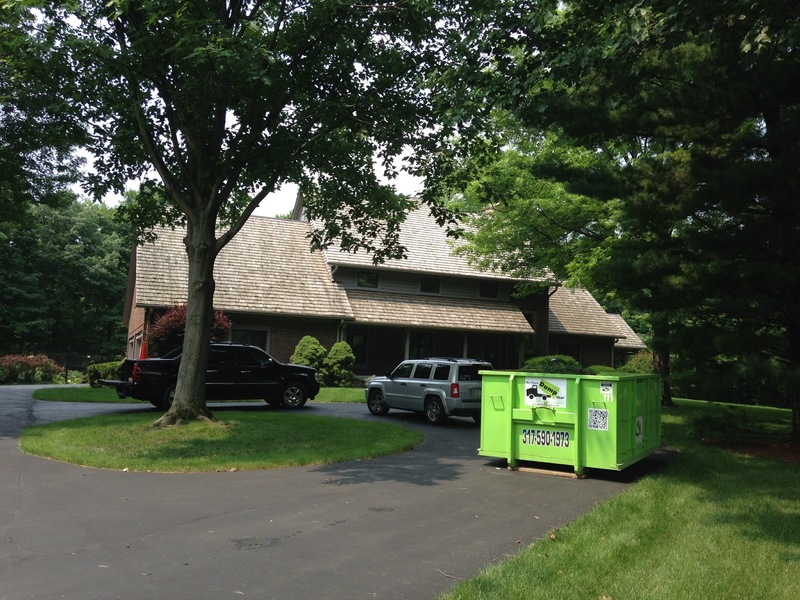 If you’re a new commercial customer to Bin There Dump That – Indianapolis feel free to call our office at any time and we will be more than happy to discuss our contractor program with you. Need the dumpster just for the weekend? That’s not a problem either, we deliver our clean and green dumpsters on Saturdays as well at no extra charge! Whether it’s a 7-day dumpster rental, a weekend rental or commercial project give us a call at 317-590-1973 and we will be more than happy to deliver the perfect size bin for your upcoming project! for a large clean out project. Have you asked your self this question before? I know I need a dumpster but I have no idea what size I will need for my project! Don’t let ordering a dumpster be traumatic, ask your self these 5 simple questions when trying to determine the perfect size. 1. Am I disposing of any bigger, bulkier items like dressers, mattresses or large pieces of wood? 2. Can I break any of the items down to conserve space? 3. Are any of the items I’m disposing of heavy such as brick, dirt, concrete or shingles? 4. Can any of the items be recycled or donated? 5. Are any of my items considered toxic or hazardous such as gas, oil, paint or tires? Another question to think about when determining the right size of dumpster to rent are how much room or space do I have to place the dumpster. Do I have my whole driveway, a small area through the alley or a tight spot next to the garage? Be sure to measure the size area available when choosing the dumpster size! Still undecided on what size you need? Give our family owned and operated business a call at 317-590-1973 and one of our expert team members will help you choose the perfect size dumpster for your specific needs! The 10-yard dumpster is one of the most popular sizes we deliver to residential and commercial customers in the greater Indianapolis area. 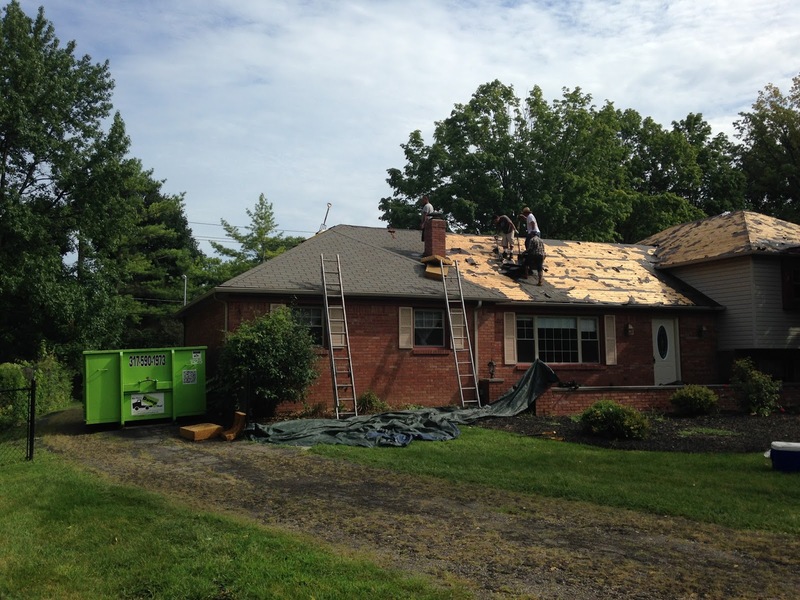 Whether it’s construction waste, a flooded basement, a small remodel or a roof tear off the 10-yard dumpster works great for all these applications and more! for a roof tear off! Bathroom remodel, small kitchen renovations or light demo fit perfect in the 10-yard bin. Whether its countertops, cabinetry, sinks or tubs you will find ample space in the 10-yard dumpster for all these items and then some! Disposing of shingles? Not a problem as contractors can put up to 30 squares in the 10-yard dumpster. 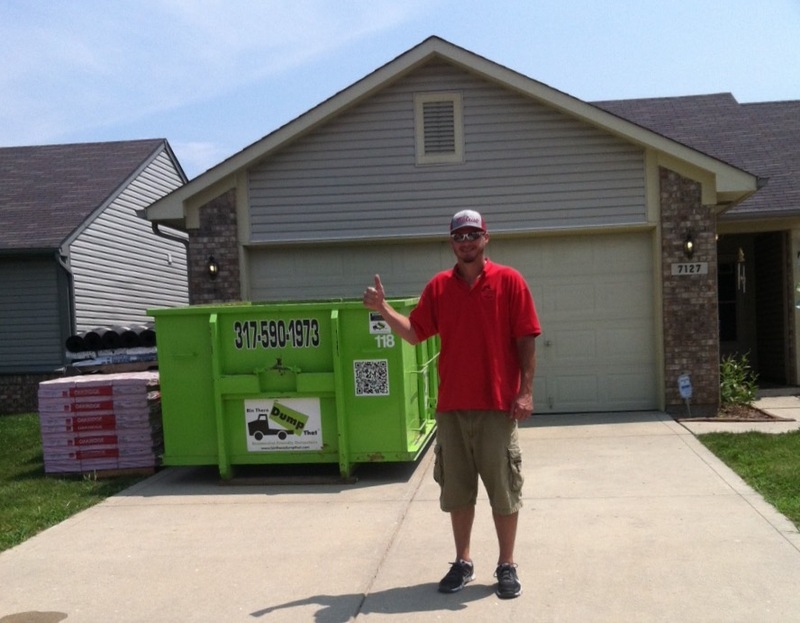 Feedback from both contractors and homeowners through out Indianapolis love the compact size of the 10-yard bin! Small enough at 10-foot in length the dumpster allows ample room on the homeowners property for their personal vehicles but provides a more than adequate amount of junk disposal space! Have a tight spot through an alley or need to place the dumpster downtown in between buildings? The small dimensions of the 10-yard bin make it perfect for these projects as well. As you can see the 10-yard dumpster is both compact but effective for a large variety of waste management needs. Next time your in need of a dumpster in the Indianapolis area consider the popular 10-yard. Give us a call at 317-590-1973 and we will be more than happy to discuss your junk removal needs.